White label on-demand delivery app platform GrocerKey is expanding its omnichannel offerings to help local brands like Woodman's Markets compete in the changing supermarket landscape. Even before the looming prospect of a combined Amazon and Whole Foods upending the grocery space, supermarket independents and chains alike appeared to be ready to meet consumers’ desire for crafting seamless online/offline shopping experiences. As eMarketer has noted in its look at e-commerce grocery shopping, the number of consumers who purchase groceries digitally will rise significantly this year. Citing research from retail marketing and analytics software company Unata and consultancy Brick Meets Click, close to one-third (31 percent) of U.S. internet users said they were “very likely” or “somewhat likely” to buy groceries online in 2017—up from 19 percent in 2016. While much of the focus on the broader on-demand delivery space has tended to revolve around what is happening in major cities like New York and San Francisco, GrocerKey has been ramping up its work with grocers in its native Wisconsin for the past two years. In essence, GrocerKey is a white label solution for grocers that want to create their own e-commerce shopping platform and operate it under their own brand name, as opposed to relying on a third party like Instacart or Postmates. 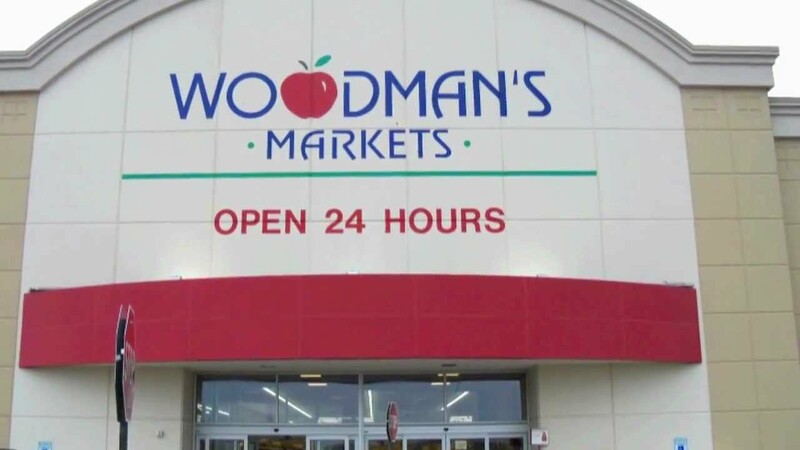 GrocerKey’s main client — and lead investor — is Janesville, WI-based Woodman’s Market, which runs 18 stores across the state and in northern Illinois. 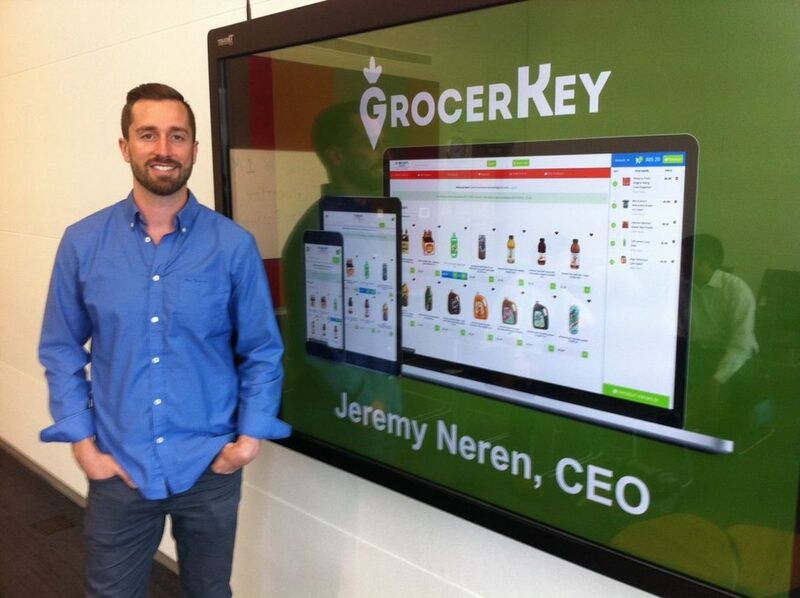 The Madison, WI-based startup’s grocery focus goes back almost 10 years, notes CEO and founder Jeremy Neren. Duly inspired, Neren and his team pivoted into starting GrocerKey and began pitching local grocery retailers. In addition to Woodman’s, GrocerKey has recently signed up three other supermarkets on top of its 11 existing retail partners — Neren won’t disclose the names just yet. The company, which has over 100 employees, is planning to build out functions that will allow for its supermarket clients’ customers to blend online and in-store shopping. GeoMarketing: On-demand delivery is generally viewed as concentrated in upscale, tech-centric, large cities. How would you describe the demand in Wisconsin and the Midwest for grocery delivery? Jeremy Neren: No doubt about it – there is larger consumer demand for e-commerce grocery in other parts of the country. That said, the demand is increasing everywhere in all markets. We did 5,000 orders with an average $150 basket-size last month out of a half-dozen stores on ShopWoodmans.com and a small marketing budget. It’s all growing organically. Every market has its own unique pull. In Madison and Milwaukee, you tend to have some awful weather for a substantial part of the year. That’s a natural driver of this business – people don’t want to go outside in zero-degree weather anywhere. So we try to tailor services to the individual markets we’re in and see what makes sense for that individual retailer. This is definitely not a cookie-cutter approach. What are the pain points GrocerKey solves for the markets you work with? The biggest pain points we’re trying to solve for grocers in e-commerce is that their stores are designed for the brick-and-mortar environment, not e-commerce fulfillment. Right now, there’s a surplus of brick-and-mortar stores in the U.S. So retailers are motivated to get into e-commerce, for one, to leverage those existing stores. They don’t want to spend even more money to build a warehouse to develop a separate e-commerce business. In many cases, retailers don’t often have great intel on exactly where products are in their store. So we create a “pick-path” in their store — then, when you’re assembling an e-commerce order, you’re using the most efficient path possible to shop for whoever is taking that e-commerce order. That allows the store to reduce labor costs and then ultimately provide a better value for the customer. What are the issues GrocerKey solves for consumers? The biggest challenge is out-of-stocks. As a consumer, if you don’t see the item you want on the shelf, you move on and grab another similar item. If you buy an item online and when it’s delivered, it’s not there, that’s a miserable experience. How do you solve for that? We let the consumer choose a backup item in case their first choice isn’t available and we provide suitable backup options for staff that assemble online orders. How do you help the markets you work with spur interest and usage of on-demand grocery delivery? We are doing more work with third-party platforms to create adoption. We’re utilizing the strength of the retailer’s brand and providing them with a number of robust marketing tools that are built into our platform. The role of Connected Intelligence and voice-activated search and ordering through Amazon’s Alexa, Apple’s Siri, Okay Google, and others is becoming mainstream. What impact will that have on the way people shop for groceries? We’re bullish on the idea of voice-activation. E-commerce is all about convenience and removing friction when it comes to the shopping experience. Voice-activation and artificial intelligence advances that idea of convenience. It’s going to be an integral piece of e-commerce and shopping going forward. It’s already having an impact, as people are ordering groceries on Amazon now. What do you think the Amazon/Whole Foods deal means for established grocers? The Amazon deal demonstrates the need for grocery retailers to move faster in their digital efforts. There was already pressure to do so, given the rise in consumer demand and pressure being put on those stores by Amazon. So that pressure will only increase with Amazon having a nationwide brick-and-mortar presence to add to its arsenal of digital tools to reach consumers and bring them into their overall ecosystem. It requires an entirely different operational approach than what Amazon is accustomed to, in terms of translating its e-commerce approach to serve customers in-store. It’s also important to consider that strengthening your digital presence does not simply mean e-commerce, it means providing more touch points to reach consumers — e-commerce is a component of that, but you must also consider how to augment the in-store experience via digital touch points such as value added native mobile apps. We’re in the process of launching several retailers. And we’re trying to encompass more in-store shopping tools, so we’re becoming more of an omnichannel platform as opposed to a strictly e-commerce company. You can build your shopping list and give them the same item availability and pick-path information that we give to e-commerce shoppers. Eventually, that functionality will lead to mobile self-checkout within the store.